The American Association of Veterinary Laboratory Diagnosticians (AAVLD) has awarded another full accreditation to the University of Missouri Veterinary Medical Diagnostic Laboratory (VMDL). The accreditation period is from January 2017 to December 2021. The VMDL was initially awarded full accreditation from 2015 through 2016. 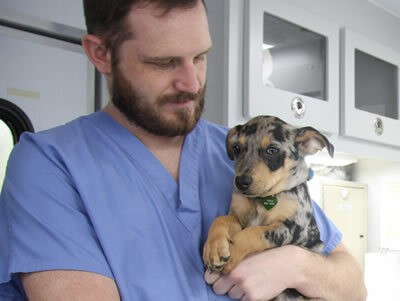 The AAVLD accredits public veterinary diagnostic laboratories in North America relative to technical and operational competence compatible with appropriate standards. The agency also provides an administrative assessment. An accredited laboratory is one that is capable of providing a full range of diagnostic services year-round in a majority of essential disciplines: necropsy, histopathology, clinical pathology, bacteriology, virology, mycology, parasitology, serology and toxicology. 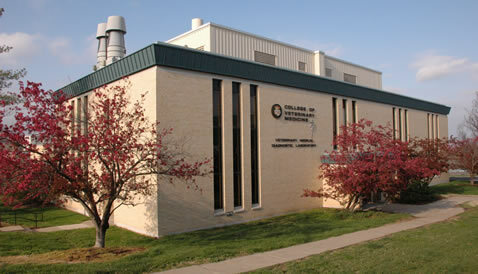 The VMDL performs more than 85,000 tests each year in fulfilling its mission to provide in-depth laboratory diagnostic support to veterinary practitioners and pet owners, livestock and poultry industry interests, wildlife conservationists, researchers throughout the University of Missouri, state and regulatory officials, and veterinary clinicians in the MU Food Animal, Equine and Small Animal Hospitals. The lab is a member of the National Animal Health Laboratory Network, which responds to animal disease outbreaks, such as the recent outbreak of avian influenza, and other adverse animal health events of significant consequence. It is also a Tier I laboratory of the Food and Drug Administration Veterinary Laboratory Investigation and Response Network, which investigates cases of potential foodborne illness in animals. The AAVLD accreditation process is based on the Requirements for an Accredited Veterinary Medical Diagnostic Laboratory, Version 5.0 (2010), which incorporates the World Organization for Animal Health, or Office International des Epizooties, (OIE) document “OIE Quality Standard and Guidelines for Veterinary Laboratories: Infectious Diseases,” from the Standards Commission of the OIE 2008. OIE was authorized to establish the international standard by the World Trade Organization, and input into development of the OIE Quality Standard is international in scope. AAVLD accreditation ensures a high-quality laboratory diagnostic program for veterinary education and research. It also assures VMDL clients that results are accurate, faculty and staff are competent, facility and equipment are adequate and properly maintained, all procedures are documented, and results are recognized by other accredited laboratories. Results from an accredited laboratory are accepted by other countries for live animal or animal products export to other countries, which is critical to the success of Missouri’s animal agricultural industry and economy.